Prostate cancer is one of the common cancers affecting men and it can be a distressing or even life-threatening condition. It can cause problems such as slow urination and increased urination frequency. One of the most effective forms of treatment for prostate cancer is radiation therapy. This is based on the underlying principle that radiation kills off the fast growing cancer cells, leaving behind healthy tissue and thus delaying disease progression. A radiation therapist is skilled in using an X-Ray machine to deliver radiation to the area of the tumor in the prostate. The therapist interacts with many cancer patients as part of the daily work. It is a hugely rewarding career for a number of reasons. The therapist can provide empathy and a personal connection at the facility for the patients as well as their families. They care for those who need both emotional support and quality medical care. It also takes a skilled organizational plan to manage treatment routines for different individuals based on their size, condition and physiological profile. A radiation therapist is a highly valued staff member in cancer centers and hospitals. He or she must be suitably qualified for the job and most have advanced degrees in radiation therapy. 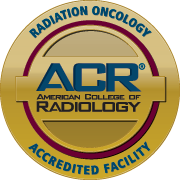 Their education and training makes them knowledgeable in radiation physics, oncology and radiation protection. Radiation therapists can independently participate in treatment planning and delivery, and they can help educate patients about their illness and treatment course. They get to learn about and implement cutting edge medical technology and they work normal hours with limited on call commitments. But the greatest joy of being a radiation therapist is the gratitude and appreciation of the patient whose condition has improved following treatment. 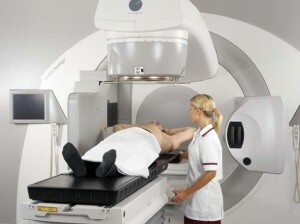 You can visit the Advanced Prostate Cancer Institute (http://advancedprostatecancerinstitute.com) to learn more about the advantages of a career in radiation therapy.